Back from a vacation shopping spree! 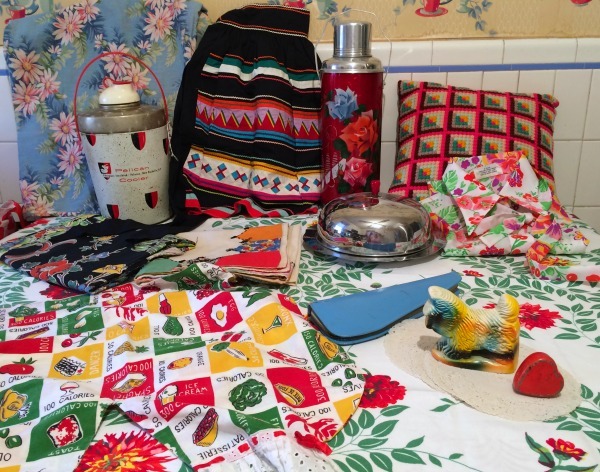 Posted: August 25, 2014 | Author: janeray | Filed under: Favorite shops, Fun Finds, Vintage tablecloths, What we collect | Tags: chalkware, vintage apron, vintage tablecloth, vintage thermos | Comments Off on Back from a vacation shopping spree! All this and MORE! Yes, I couldn’t fit it all into one picture. This is what happens when two vintage-crazy sisters go on a nine-day vacation with the ulterior motive of hitting as many antique shops as possible between the Finger Lakes in upper New York and Niagara Falls, ON. Sadly, I don’t have time this morning to show the rest of my loot. In the week to come I’ll have better photos and mini reviews of the great shops we visited in Canadaigua, Niagara-on-the-Lake, and Corning. So stay tuned for more vintage goodness! We left lots of great stuff behind for you! Fabulous Florida fun at Flukes! 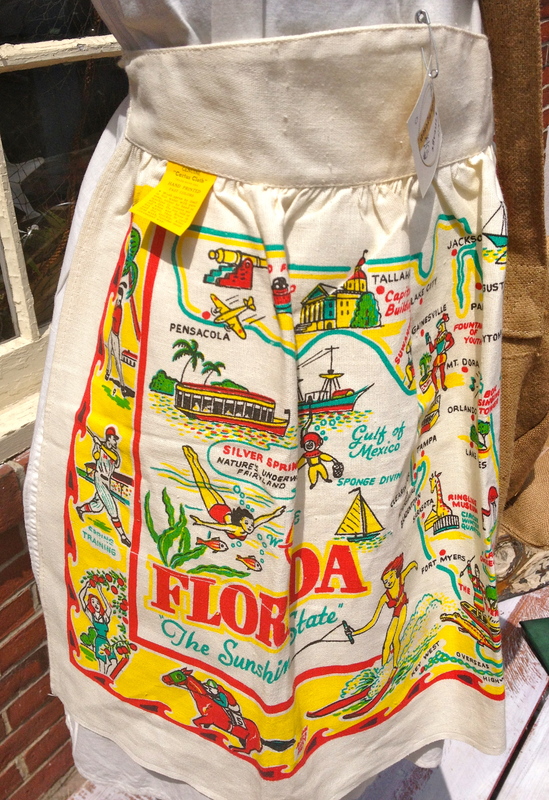 Posted: August 6, 2014 | Author: luray | Filed under: Favorite shops, Souvenirs | Tags: Cactus cloth, Flukes & Finds, vintage state souvenir apron | Comments Off on Fabulous Florida fun at Flukes! 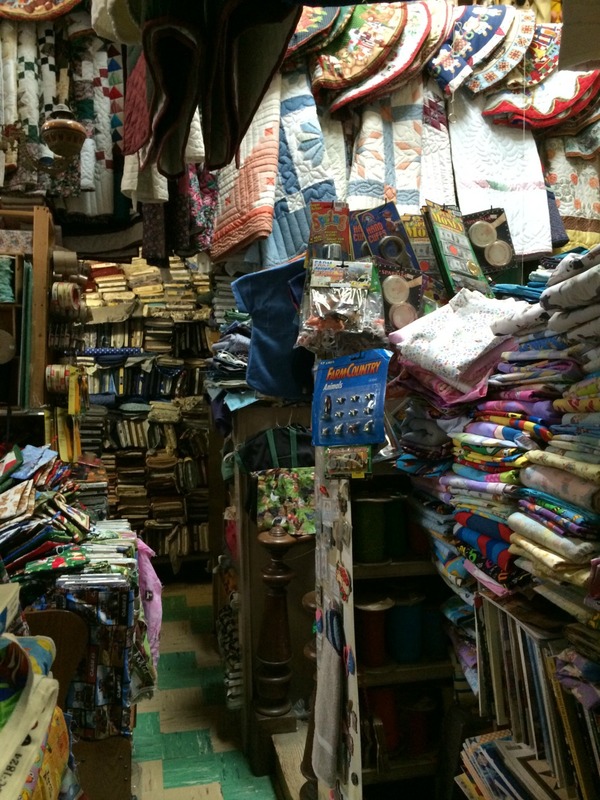 Fabulous vintage Florida textile fun, that is! Here’s what I spied on the sidewalk outside Flukes & Finds & Friends this afternoon. 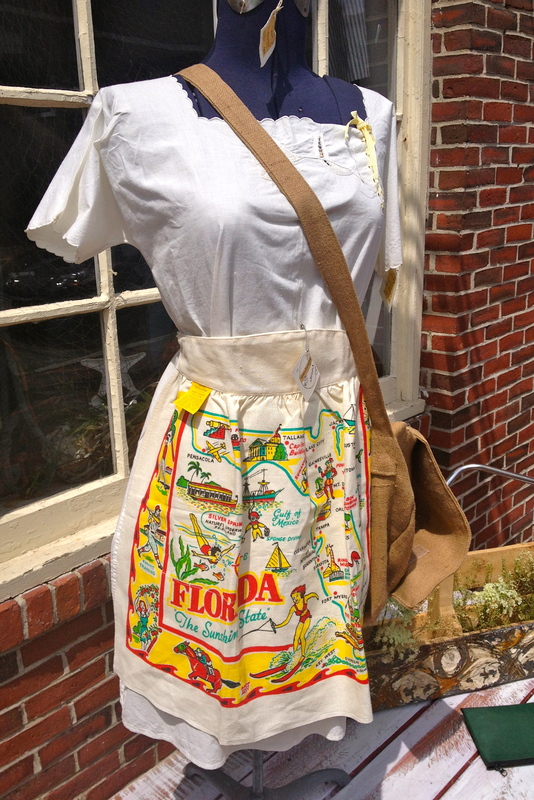 A vintage state souvenir apron . . . that had never been used. Somebody from New England visited the Sunshine State, brought home a colorful and useful apron, and stuck it away in a drawer for 60 years. It’s even got the original tag. Outside Flukes today: blues & greens with a splash of pink. This week is the annual Yankee Homecoming downtown. It’s a big deal—sidewalk sales, craft fairs, kids’ activities, outdoor concerts–you name it, it’s happening downtown. So after I’d made my run to the bank and the post office, I stopped by one of my favorite shops: Flukes & Finds & Friends. 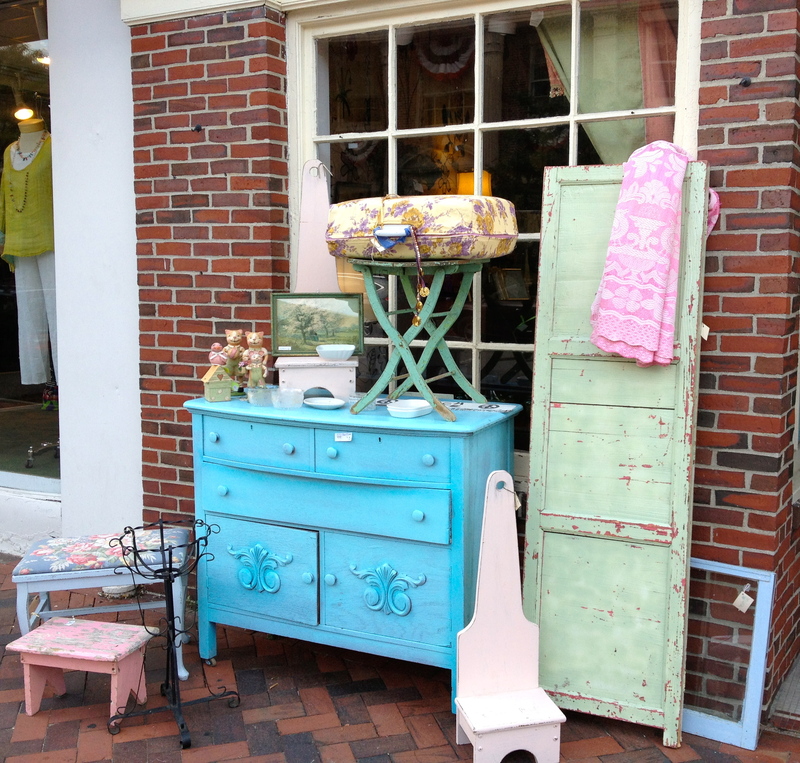 This shop is chock full of vintage furniture, repurposed finds, linens, art, estate jewelry, and a lot more in really inviting displays. The prices are reasonable, the dealers are friendly. They’re not paying me to write this, honest! Out on the sidewalk, Flukes usually has a great display. Today was no exception.